In May 2017, ALPSP and Accucoms announced a partnership to reinstate collective sales services as a benefit of ALPSP membership. 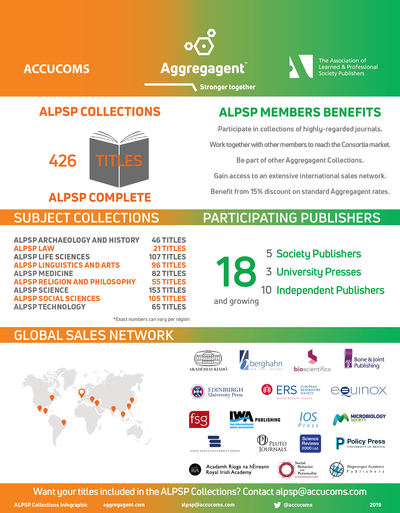 ALPSP members can opt to have their journals included in a series of ALPSP Collections available for purchase by libraries, in addition to the broad and narrow subject classifications of Aggregagent. Participating members receive 15% discount on the standard fees.